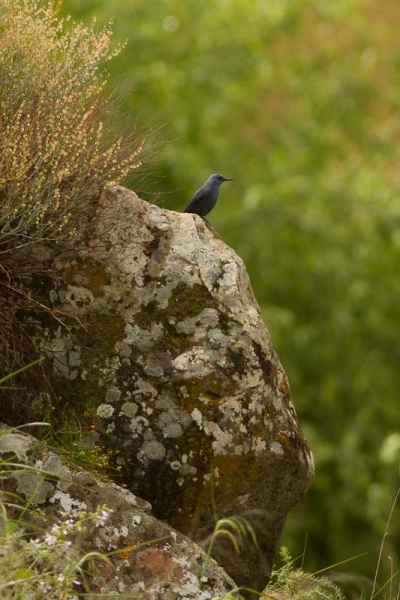 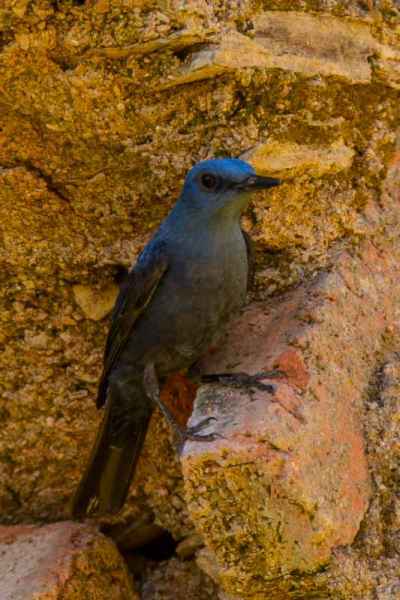 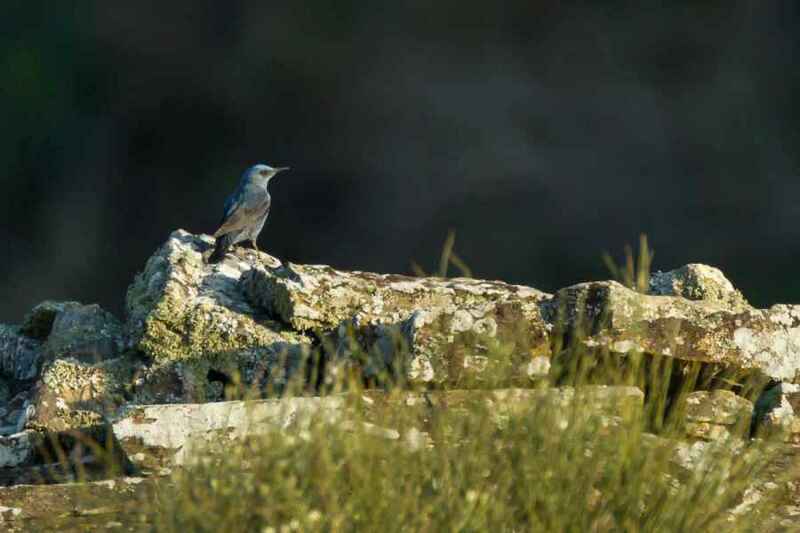 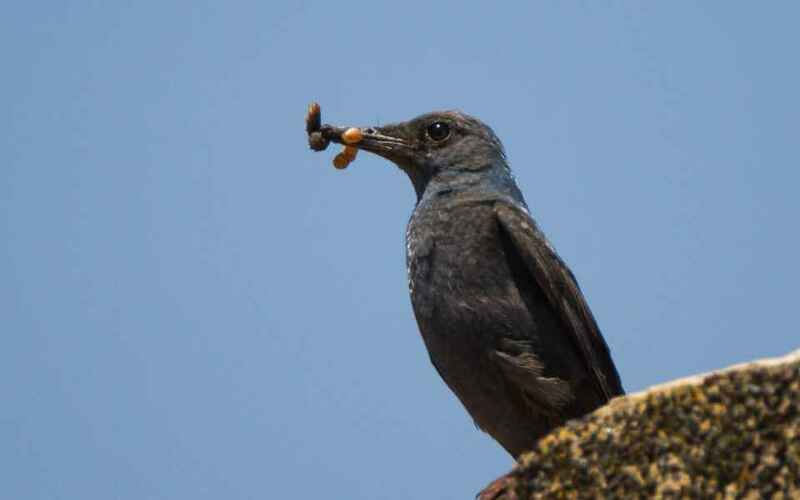 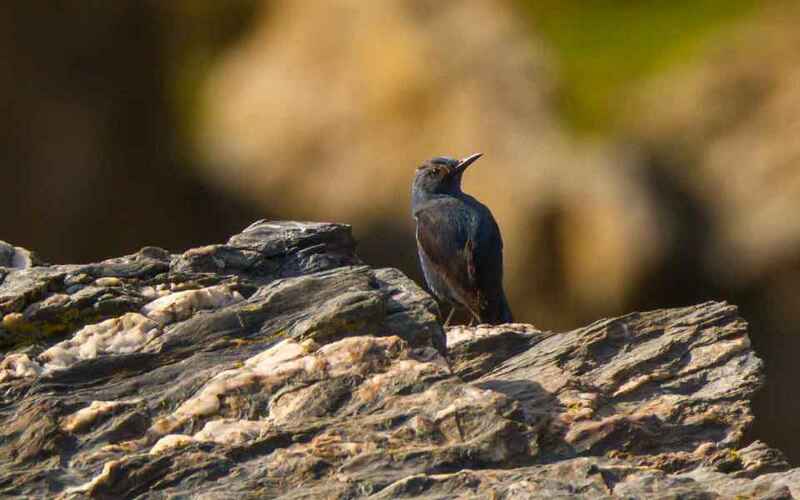 Blue Rock Thrushes are a resident species that is widespread but localised. 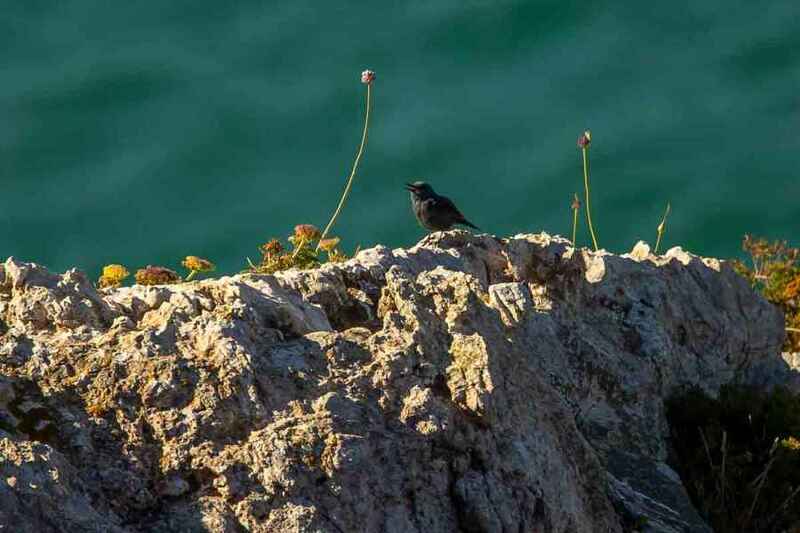 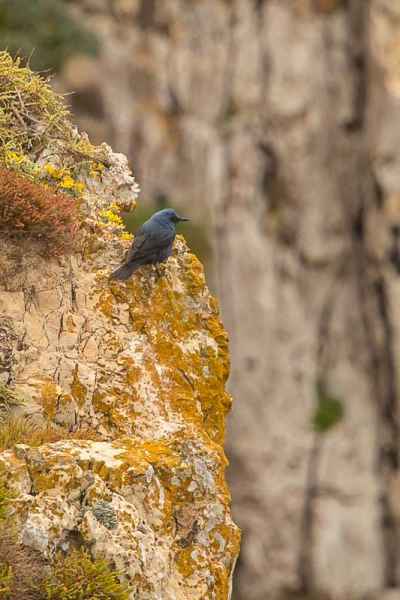 They prefer rocky environs and cliffs as a breeding habitat so one can find them on the coast as well as inland, but they will also breed in old ruins, even close to Man, though in these circumstances they are wary and shy. 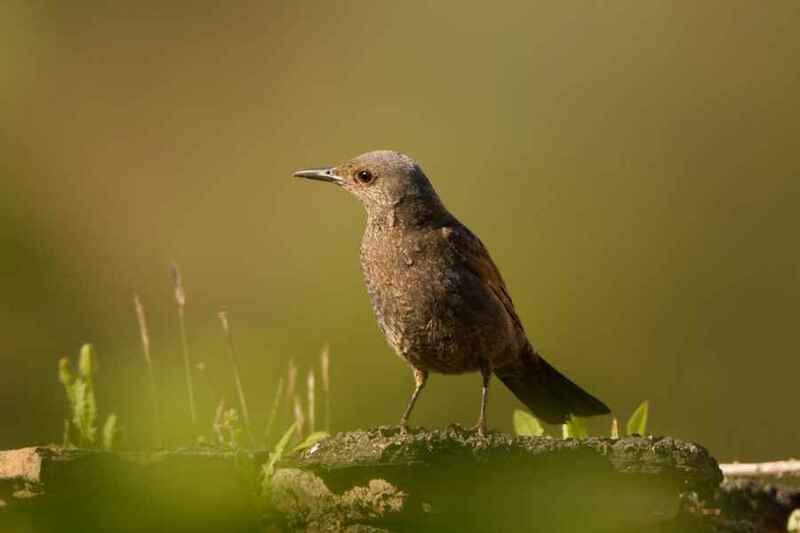 The female is very similar to a female Blackbird, both in plumage and size, but is told from the latter by bill length, (long), and colour, (black). 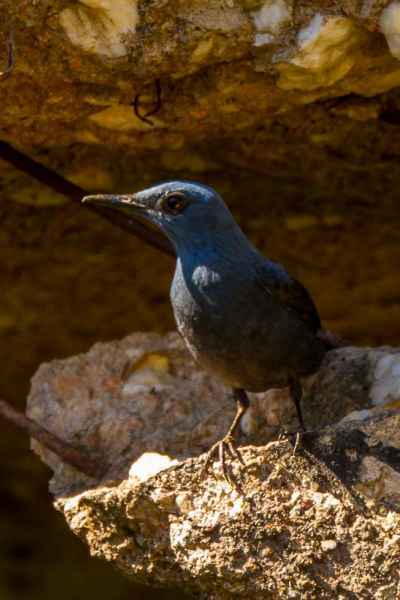 The male too has a long black beak, and both sexes have the habit of perching right out in the open on a prominent rock. 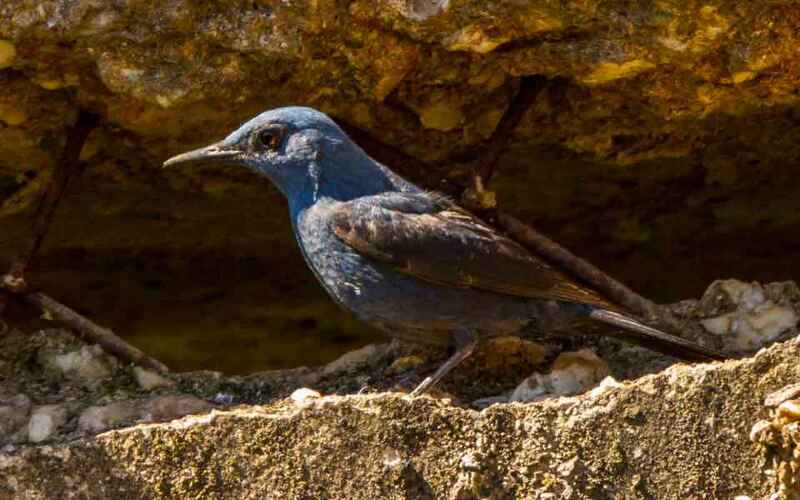 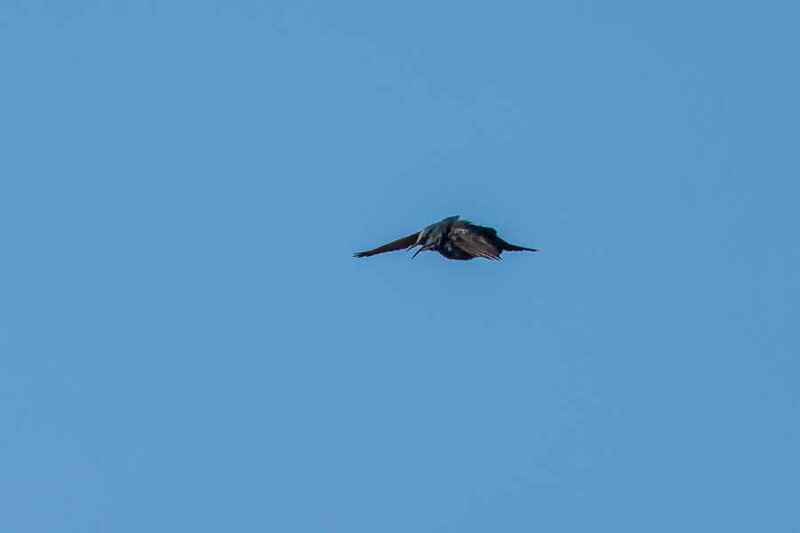 The male's plumage is a dark blue back with black wings and in dull light can appear almost totally black, the female's is dark brown, but the beak length is a give-away in both sexes.